Lush Fab Glam Inspired Lifestyle For The Modern Woman: ﻿This Week's Celebrity Quote by 'The Material Girl' Madonna Who Turns 53 Today! ﻿This Week's Celebrity Quote by 'The Material Girl' Madonna Who Turns 53 Today! In celebration of her 53rd birthday, we are featuring our favorite quotes from 'The Material Girl' Madonna plus photos of her iconic style evolution over the years. 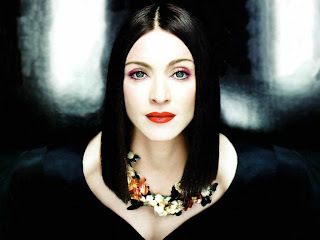 Happy Birthday Madonna! "I think the ultimate challenge is to have some kind of style and grace, even though you haven't got money, or standing in society, or formal education. I had a very middle, lower-middle class sort of upbringing, but I identify with people who've had, at some point in their lives to struggle to survive. It adds another color to your character." Are you a fan of the legendary singer and style icon Madonna? Leave a comment below. People like Madonna and Kylie are originals Gaga Britney are all copy cats. wow Madonna and Halle look great for their age.